Loaded the dishwasher but it won’t start? Contact us to fix it. Our Morristown dishwasher repair experts are at your disposal for any problem. Is the dishwasher leaking or failing to clean well your dishes? Does the cycle take long? Our dishwasher specialists at Appliance Repair Morristown NJ will help you fast every time you encounter similar problems. When it comes to leaks, you can trust that our tech will be at your home as soon as possible. Do you know how important dishwasher installation is? Dishwashers are essential kitchen appliances. They won’t only save you time but also money. They consume as much water as needed for each cycle without wasting a drop. And they free time for you to do more important things. So correct dishwasher installation is significant too. If the appliance is not connected right, it might not get the right amount of water. Don’t let problems hassle you from day one. Leave the installation but also any other dishwasher service in Morristown, New Jersey, to our expert to be sure of the quality results. There are many dishwasher parts. A simple problem with even one of the appliance’s components will lead to some trouble. You might not feel it right away but problems in the cycle and the appliance’s efficiency will start as soon as one of the parts corrodes. And that’s why our dishwasher maintenance is vital. Rust is actually unavoidable. All parts will wear at some point. Our job during routine inspection is to isolate such problematic parts and offer solutions. When we come to service your appliance, we bring dishwasher repair components with us. Whether we maintain or fix a particular problem, we like to be prepared for the possibility of finding a rusty or broken part. So our dishwasher technician is able to replace such parts in no time. No matter which brand or model you own, we do any dishwasher repair in Morristown with the same expertise and knowledge. 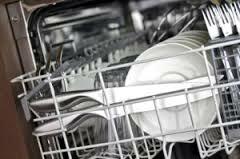 We are qualified and well-trained pros and will be happy to help you with your dishwasher problems. Call us.